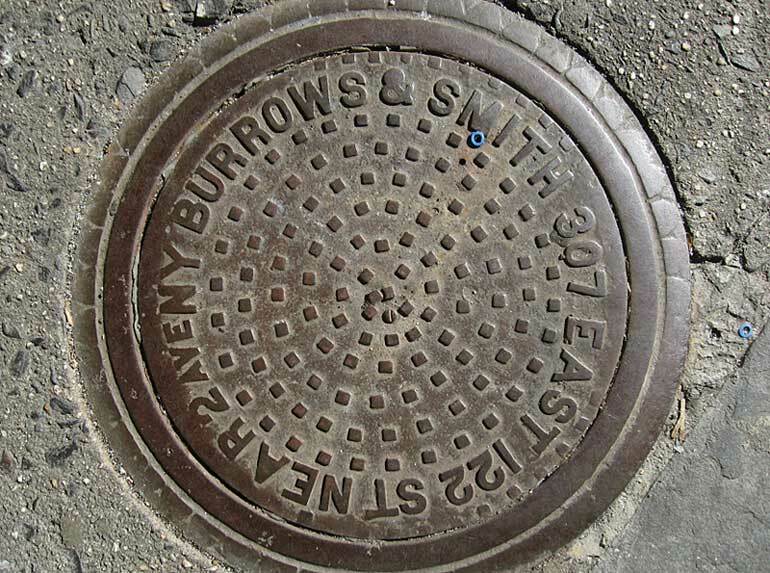 The Burrows and Smith foundry on E. 122nd St. is listed in Trow's New York City Directory from 1891 to 1896. Burrows was Thomas Burrows, and Smith was Samuel Smith. From 1892 through 1896 Thomas Burrows lived in the Bronx, while Samuel Smith lived at 303 E. 122nd St., close by the foundry. Samuel Smith appears in the 1900 U. S. Census where he was described as age 54, born June 1845, England, immigrated 1880. He was an alien citizen and gave his occupation as "manuf of iron works." Thomas Burrows should not be confused with Thomas C. Burrows, an iron and steel dealer, who lived on Clermont Ave. in Brooklyn. Thomas C. Burrows was in business from the 1870s into the 1910s, and was a far more prominent figure than the Thomas Burrows of Burrows & Smith.